Faculty and Leadership Development Center (FLDC) was initially established as one of six development projects recommended by the first conference for “Higher Education Reform Strategy” in 2004. This conference was directed towards improving the quality, efficiency and relevance of higher education. The project ended in 2007, however, FLDC continued to provide its training services as a training center affiliated to Cairo University. FLDC is managed by Cairo University’s Vice President for Post-graduate affairs and research; Prof. Dr. Gamal Esmat, and is directed by Prof. Dr. Amr Mostafa; Professor of Biochemistry, Faculty of Agriculture, Cairo University. FLDC provides capacity building services for Human Resources Development of both academic and administrative members in Cairo University as well as other regional and international universities. The center aspires to be a center of excellence in the field of human resources development according to the international quality standards. 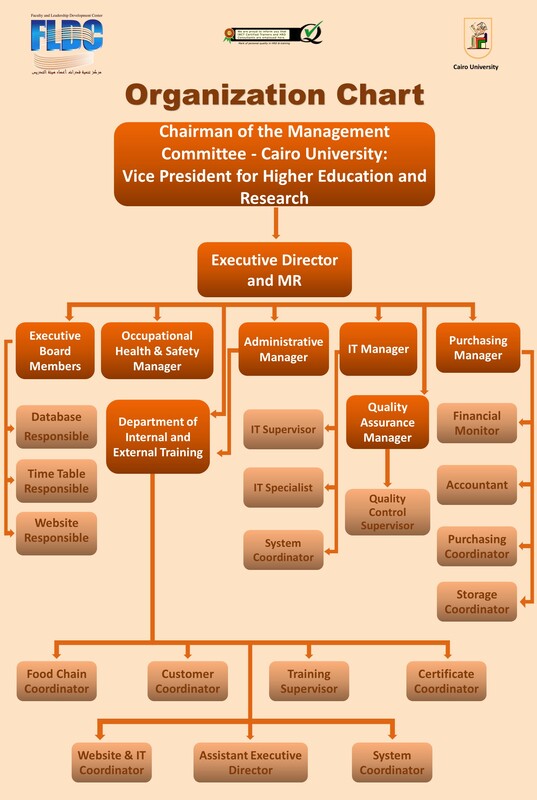 FLD Center is affiliated to Cairo University. FLD Center provides capacity building services for Human Resources Development of both academic and administrative members in Cairo University that would qualify them to fulfill the competitive requirements of national and regional labor market. * Expand the capabilities of staff members and academic leaders. * Develop the thinking skill among trainees. * Improve the capabilities of staff members within the different competencies in a way that fulfills the university’s strategic plan for development. * Promote a culture of continuous development and self-learning trainees.